Located west of Lexington, SC is Gilbert. 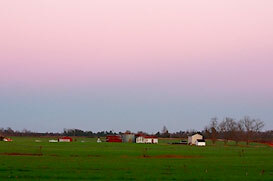 The area features large farms and is in the heart of peach production country. Builders have discovered the appeal of Gilbert as it offers affordable homes, beautiful rolling countryside, great schools and the convenience of having a reasonable drive time to many large employers. This friendly little community is also the heart of South Carolina’s peach industry. In fact, every year around July 4th, the residents of Gilbert take part in the annual Lexington County Peach Festival. Home buyers interested in purchasing a single family residence on the southern east coast should consider taking a tour of the homes for sale in Gilbert. There is a good selection of homes for sale in the Gilbert area. One and two-story homes are available, which contain 3-4 bedrooms and 2-3 full baths. These homes are situated on large, spacious lawns that feature beautiful landscaping with plenty of room to add more plants, trees, and other vegetation. Inside an average Gilbert home buyers will find an abundance of modern amenities and traditional furnishings. Many of the homes in the area have been built within the past decade and have a style that reflects the simplicity of the south. Some of the most common features include solid hardwood floors, wall to wall carpeting, tile in the bathrooms with new granite or marble counter tops, custom cabinets in the kitchen, separate dining rooms, large living rooms, outdoor decks, and a fantastic view of the South Carolina landscape. Residents who love the great outdoors will never run out of things to do while living in Gilbert, South Carolina. Nearby Columbia is home to several state parks including Sadlers Creek State Park, Huntington Beach State Park, and Lake Warren State Park. These locations have hiking trails, bike trails, campgrounds, and opportunities for fishing, boating and swimming. Columbia also has several locally owned restaurants including Blue Marlin, Ruth’s Chris Steak House and the Motor Supply Company Bistro.